Star Tours closes to park guests on September 7 2010 when Disney's Hollywood Studios closes at 7pm. D23 have announced an event for 225 riders to experience the ride after park hours for one more 'last ride'. TICKETS: Tickets available Thursday, August 26 at 1 PM ET. Check back here for ticket link. SCHEDULE: Check In begins at 8:30 p.m.
Get ready to visit a galaxy far, far away one last time! After Disney's Hollywood Studios has closed to the general public, D23 Members are invited to take an exhilarating "final flight" to the Moon of Endor before Star Tours suspends departures as it readies for its 2011 reimagining. Guests will check in at the main entrance to Disney's Hollywood Studios and receive their commemorative boarding pass for their trip. Once we are cleared (for launch!) guests will be escorted directly into Star Tours. Bid C-3PO and R2-D2 a fond farewell as you walk past them in the pre-board area. After watching the classic 1987 safety video (love her hair — and those eyebrows!) you will enter one of the six Starspeeder 3000 vehicles where Captain Rex will welcome you one last time for your trip. We'd hope after all these flights, things will go smoothly but… we have a very bad feeling about this! After you have landed safely, guests will be escorted back out of the park, energized to relaunch in 2011 with Star Tours: The Adventures Continue! NOTE: Available only to D23 Members in good standing. Members may reserve a ticket for themselves and one (1) guest. 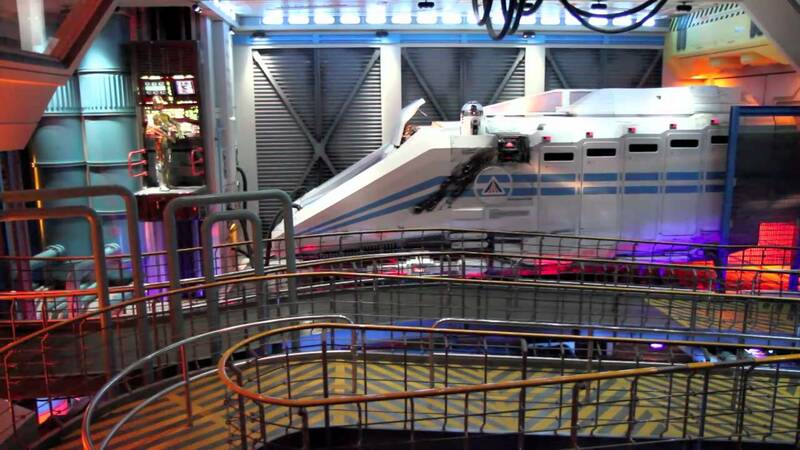 This will be the final ride on Star Tours offered to the general public at Walt Disney World. Because the event occurs after park operating hours, Walt Disney World Resort buses will not be operating by the end of the event. Attendees should plan accordingly. Parking information will be sent out with confirmations. In an effort to ensure that it is the last ride, only 225 tickets will be made available. D23 Members will be required to provide their membership number when reserving tickets. Tickets may be picked up only with a valid photo ID AND D23 MEMBERSHIP CARD. D23 Members who do not bring their membership card may not be admitted to the event. Ticketed Members who do not attend the event forfeit their place as well as all experiences, benefits, and gifts associated with the event. If you wish to request for sign language interpreting services for this event, please submit your request to feedback@disneytwentythree.com at least two weeks prior to the event date. All D23 Special Events are subject to change without notice. There are no cancelations or refunds, tickets are not transferrable.